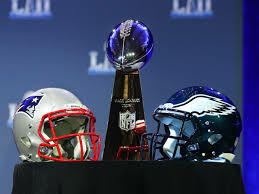 ♦ Super Bowl LII – Eagles vs Patriots – I Have broken down this game to the very last X & O – I have contacted all My Syndicate Sources to Get Feedback & Opinions on Every Aspect of the Game. When the Smoke Clears & the Dust Settles I Will Once Again Get Everyone on the Right Side of this Super Bowl! I have Made a Career on Nailing the Big Games or the Big Race. The Bigger the Event the Bigger I Raise My Game, the More Money Bet on a Game the More Careful I am with a Release! My Release in Super Bowl LII will be the Biggest Play of My Career to Date! I Collected on the National Championship Game & I Will Get It Done in the Super Bowl! Now is Your Chance to Get My Guaranteed Super Bowl Pick & Make the Biggest Bet of Your Life! I am Charging $100 for Today’s Super Bowl Selection – It Comes with a 110% Guaranteed Refund If This Game is Not a Winner – If I Don’t Cash this Game You Will Receive a Full Refund within 60 Minutes of the Game Going Final! I Don’t Want Your Money Unless You’re Making Money!